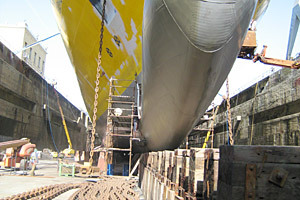 We are a well organised, efficient and cost effective ship repair facility based in Genoa, Italy. The Zincaf repair facilities are geographically well located on the Mediterranean at the centre of Europe. 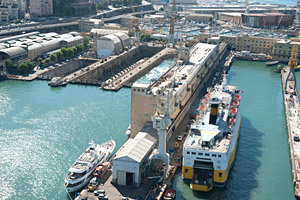 Our capability to cater for all your needs is based upon the quality and range of our docking facilities here in the heart of the Port of Genoa. Whatever modifications you require for your vessel we are at your service to help. 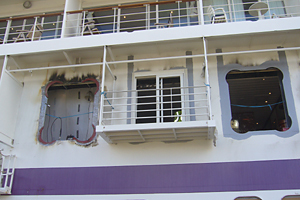 Everything from structural modifications, installation of balconies, interior retrofits etc. Zincaf will work tirelessly on the owners behalf with Class to ensure that all requirements / upgrades are applied in the most practical and economical manner during the vessels time in the yard.